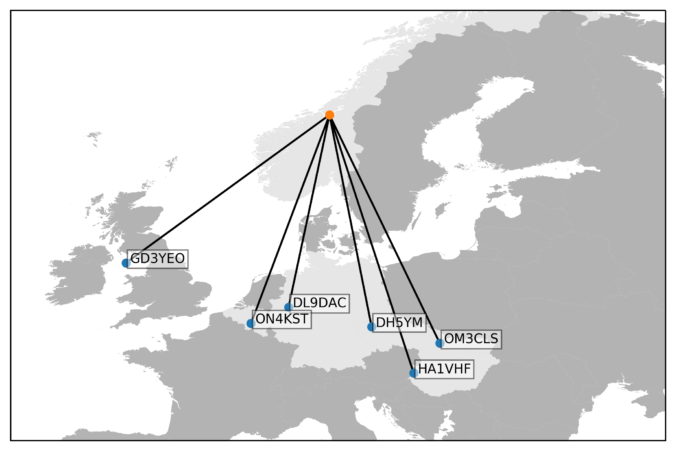 LA3WUA Øyvind came to me late Monday evening last week, desperate, wanting a map to visualize the calls which had spotted our 4m beacon, LA2VHF/4. No problem, Øyvind. 8). Here is also a post describing how it can be done, so that you can do it yourself the next time. 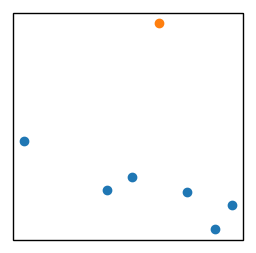 The problem at hand is to visualize contacts that have spotted our beacon on a map in order to visualize propagation. 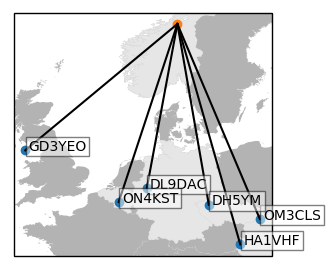 The solution here can be considered a follow-up to an earlier blog post, Plotting Norwegian ham radio contacts on a map using Pandas, Cartopy and Geopy, where we plotted Norwegian calls on a map over Norway. In the current post, this is extended to European contacts. LA3WUA had already provided for me an ADIF file containing the calls and the corresponding locators, which he had meticulously looked up from QRZ.com. Locators or coordinates for a given call are usually not that easily available, and will in general have to be looked up from clublog or similar. 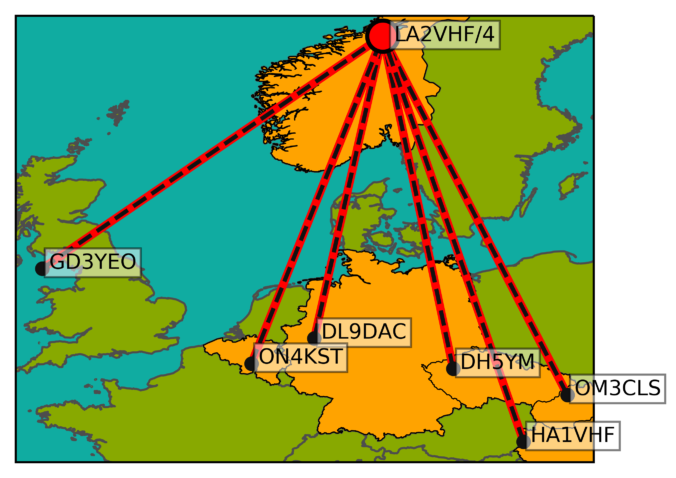 The coordinates from clublog will probably not be accurate for more than the country in question, while the coordinates LA3WUA had looked up will be as accurate as the user at QRZ.com has made them. The next step was to convert locator to latitude/longitude coordinates. The letters in the locators are converted to the corresponding alphabet number (i.e. A -> 0, B -> 1, …) while the numbers are taken directly. The characters at the first, third and fifth position are combined to yield the longitude, while the others are combined to yield the latitude. We are missing countries, however. 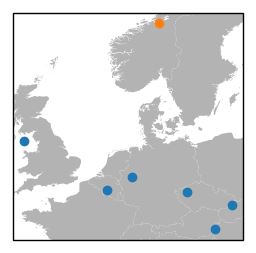 Like in the earlier blogpost, we’ll do this using natural earth shapefiles in cartopy. In the blog post, we plotted lines from our location to each spotter’s location, and added text blobs with the callsigns. We also went a little overboard with the colors, in order to make the map scream at the reader with enforced jolliness. 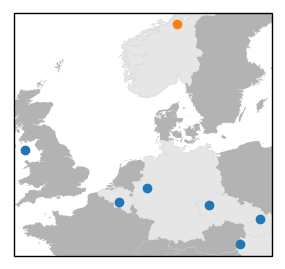 The sea color was applied by ax.background_patch.set_facecolor(sea_color), while the colors elsewhere were supplied using the facecolor and edgecolor keywords to the add_geometries() function when plotting the countries. The colors were selected by applying a diseased brain to the problem of selecting colors. We’ll probably come back to more map fun in a later post. We have some plans for live plotting of logged contacts and DX cluster spots.